Finding the right running shoe when you’re flat-footed may feel like a catch-22. Having flat feet means you may tend to overpronate when you run—your foot collapases inward at the ankle too much and overpronation can stress the foot, ankle, knee and hip. Here’s the catch: If a running shoe prevents your foot from pronating completely, you could also end up with other foot or knee problems. Nearly all runners naturally pronate. Pronating when you run helps absorb the shock of your foot hitting the ground. So the trick is to find a running shoe that allows your feet to pronate just so much and no more. 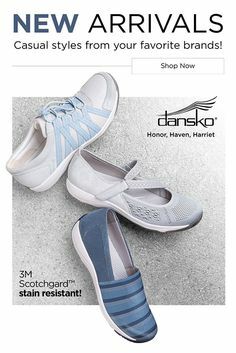 In general, shoes that offer motion control and extra stability features may be the best options for people with flat feet. 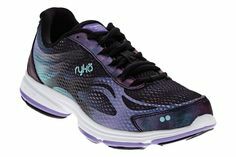 Shoes with motion control features have extra stabilizers on the inside of the heel so they help control the motion of your feet to help keep them from overpronating. Shoes with stability features have extra support in the footbed to help keep the arch from collapsing while you run. Podiatrists, though, urge runners not to rely on the shape of your foot and your arch height alone to choose the correct running shoe. Biomechanics research shows that people don’t respond in a systematic way to shoe features because everyone has a unique pattern of walking and running. You can’t predict how you’ll respond to a shoe. That’s why the advice from American Academy of Podiatric Sports Medicine is to get familiar with structural features that work well for you and then and then seek out those features when selecting shoes. Figuring out what structural features of a shoe work for you can be one of trial and error. 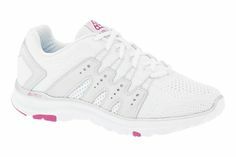 Overall, pick a running shoe that is comfortable and lightweight. For a men’s size 9, that’s 10 ounces or less. For a woman’s size 8, that’s 8 ounces or less. Stability from tip-to-heel. You shouldn’t be able to twist a running shoe like a towel. It should just rotate a little in both directions. The midsole shouldn’t be too cushioned. One way to tell is to look at the heel-to-toe drop. The heel of the shoe shouldn’t be much thicker than the cushion at the forefoot. Choose a shoe with minimal heel-to-toe drop—that’s a difference of 6 mm or less, which is roughly 2/10 of an inch. No difference between the cushion at the heel and midsole is good, too. When a shoe is too cushioned, it can actually cause you to land with greater impact than you would wearing a firmer shoe. If you’ve been running in a shoe with a high heel-to-toe drop, you’ll want to transition to the lower one to help avoid lower body pain. The more stable shoes have a straight last. The last describes the shape of the shoe when looking at the bottom. Straight-lasted shoes, versus a slight C-curve last, are found almost exclusively in motion-control shoes and they resist pronation to a greater degree, are heavier, and bulkier. 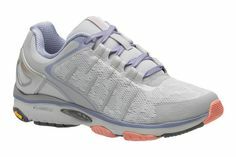 The last, or shape of the shoe, should match the shape of your foot for greater comfort and to better control pronation. The shoe should bend where your toes do. Don’t pick a shoe that bends in the midsole because it doesn’t have enough arch support. Your toes should have room to wiggle. Pick a shoe with a wide toe box. Last but not least, don’t rely on your shoes to do all the work for you. In most cases, you can help correct excessive pronation with exercises to strengthen the foot, leg, and hip.